Great first week of ticket sales all round – and survey results are in! Well done to everyone – we’ve had a fantastic start to ticket sales for all 3 choirs (and we are in the lead…not that we’re competitive or anything 🙂 ). This may be in part thanks to Archie’s amazing ticket buying platform, which has speeded up the process significantly compared to 2016, but we’re certainly very encouraged by your enthusiasm for the concert! The best seats are going fast so don’t leave it too long to ask your friends and family. Many, many thanks to all of you who responded to this survey. I am very pleased to announce that we felt there was enough support in the choir to commission a professional recording of the concert (some 76% of all respondents said they would like to buy a recording). We will be taking pre-orders for these shortly. In addition, the demand for the Cranmore coach for the final rehearsal on Monday May 6th seemed enough to make it viable, so you will be able to buy tickets for this coach from next rehearsal also, along with those already on offer for our joint rehearsals in Herts and concert day itself. 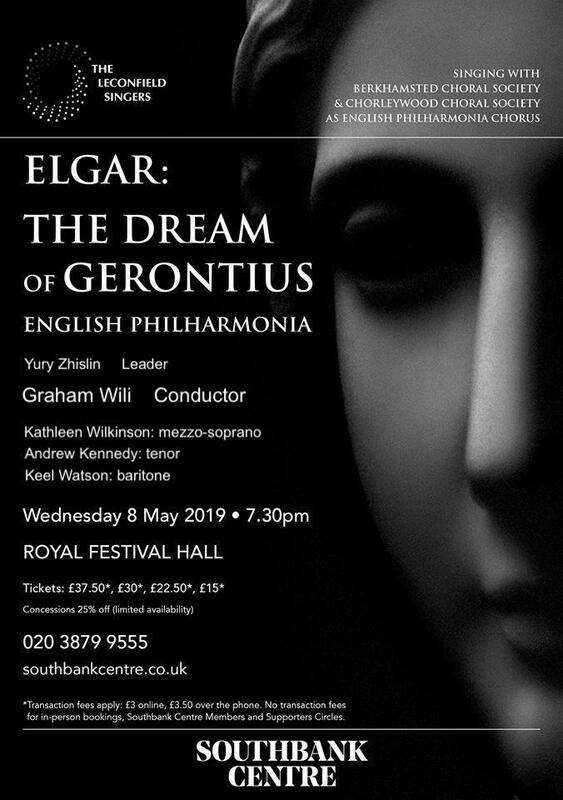 Many of you will remember the wonderful job she did last time in 2016 for Verdi’s Requiem, and this year our joint concert poster and programme designer, Jill Glenn, has already started putting together a fabulous programme for our concert. So…..it’s time to start having a good think about businesses you can approach to advertise in our Programme – tariff sheet and details will be available shortly. The programme will be distributed to an audience of 1,500 – 2,000 coming from far and wide, so it’s a great opportunity to give your business exposure and sponsor the concert at the same time! As many of you will have heard we are looking to repeat the success of the Schools Promotion this year, however we will be limited to 150 complimentary seats. If there are any schools that you think might like to take part, please contact Archie on concertmanagement@leconfieldsingers.co.uk for more information. Do keep checking our Facebook and Instagram pages, where Amanda has been posting some really interesting snippets of information each week. If you become of Follower and Like our page you will be notified whenever something is posted. Our Diary Dates are now completely up-to-date with timings and addresses of future rehearsals – please do make sure you have an up-to-date copy with you at all times! That’s it for now – there are exciting times ahead and lots of logistical arrangements, so keep reading and listening to announcements so that you know what to expect.